There are 11 official languages in the Republic of South Africa, yet somewhat surprisingly we still have institutions of higher learning that haven’t made positive strides in language integration, and those who have only made provision for specific languages. This is the state of affairs as we know it. At UP, groups of students clashed over the different views on the university’s policy on language. The proposition for English to be the primary medium of instruction had been raised, the various bodies and stakeholders of the university were said to have convened to discuss these propositions. As per Times Live article, that meeting was postponed. In the UFS, UFS Vice Chancellor and Rector Professor Jonathan Jansen, condemned the violence and racial aggression at the university. It’s basically mob justice. Anyone can beat you. Anything can happen. Language Policy, are we all talk and no action? The department of education has an important role to enforce language policy, Languages, inter alia are protected under the Constitution in terms of Section 30 ‘Language and Culture’ clause. The issue of language policies is a multi-tiered one, it affects education from its basic foundational phase, education at a higher level (universities) and the autonomies of the universities – which presupposes a balancing exercise. What we are now seeing is the result of long stemming problems that the country has been facing. According to a report in the Mail & Guardian publication: ‘Language policy lets pupils down’, Children the world over have the same potential for mathematics when they enter school, but South Africa is not harnessing this latent capability because of shortcomings in its policy on language in education. Therefore for language policies to be implemented, it will take a cumulative effort from all parties concerned, starting at the very foundational levels. It is a greater debate, with two main diverging schools of thought. This article will be followed-up in the coming weeks to see how the various stakeholders meet minds and find progressive solutions to SA’s educational language debacle. We should after all, a hopeful democratic nation. Chapter 9 Institutions: The Powers Conferred to the Public Protector. The jurisdiction of Public Protector Thuli Madonsela and the degree to which Parliament can hold her accountable has come under intense scrutiny in Parliament and the debate is likely to rage for some time with neither side agreeing. The above quote, was published in an Op-ed 3 years ago, the powers of the Public Protector have been the subject of debate for quite some time. Advocate Thuli Madonsela currently holds the high ranking office of the Public Protector, with Advocate Kevin Malunga as her deputy in office, together overlooking and looking out for, and protecting the interests of the citizens of this country. What are Chapter 9 Institutions? They are the ‘State Institutions Supporting Constitutional Democracy’. These institutions include, inter alia the Human Rights Commission; Commission for Gender Equality; Auditor General and the subject of this write up – the Public Protector as per section 181(1) of the Constitution. Section 181(2) makes further provision for the independence of these institutions, consequently, they’re only subject to the Constitution and the law. The area of contention however, which has led to robust debate and recently – litigation, lies with section 181(4), the subsection states: No person or organ of state may interfere with the functioning of these institutions. Is this provision too vague? Chapter 9 Institutions serve a pivotal role in the country, they are to act with impartiality, dignity and effectiveness. Most importantly, the Public Protector doesn’t act as anyone’s legal representative, this is in the interests of impartiality and accountability. The Act stipulates how one may report a matter to the office and various other powers. Given the recent constitutional court case RE: #NkandlaReport, the question of the extent of the office’s powers have finally been settled, for now they are binding. I will not stop doing what section 181 (5) of the Constitution says I must do. “…But that’s racist!” Racism, and what the Law says about it. It is always a sad day when human beings are likened to animals, more so in condescending tones filled with malice and prejudice. Only a few days into 2016 and the newsstands; social media and South African Human Rights Commission (SAHRC) is abuzz with calls rallying against racism. Have the levels of racism in South Africa risen, or have we started being vocal against it? Or perhaps, for the longest time as a country, we have merely wished it away. 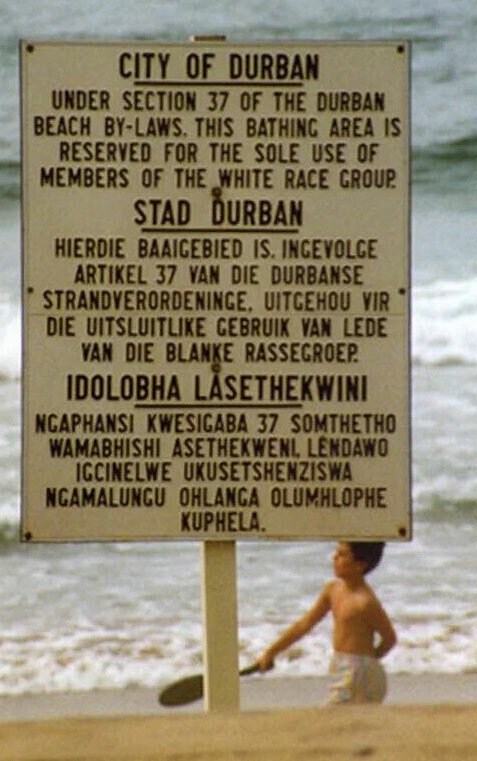 The country was in mass hysteria following #PennySparrow’s, a former real estate agent for a prominent property group in South Africa went on a social media outburst and referred to black people as “monkeys”, she also mentioned her disdain over having black people on beaches: “I’m sorry to say I was amongst the revellers and all I saw were black on black skins what a shame…this lot of monkeys just don’t even try.” She then went on to apologize following a backlash and complaints following her post on Facebook. This is only one in several incidents that happened in that very same week, similar posts were posted by celebrities and newsreaders among others. It evidently is 0a prevalent problem, one that we cannot simply wish away, one that needs serious address and legislative intervention. The preamble of the South African #Constitution which is the repository of all state power (Greys Marines), states “South Africa belongs to all who live in it, united in our diversity.” Thereby providing that all conduct should be in line with the #Constitution, racism is not, effectively making it unconstitutional. Racism simply put is the marginalisation of another racial group, by another. This may entail the deprivation of resources based on the race of certain individuals. There is an on-going debate surrounding ‘reverse racism’. A follow-up article will address this discussion. The movement shall be… #hashtagged, tweeted, posted? Are we in the era of hashtag revolutions? Type a simple hashtag and you find the conversation and interaction surrounding the hashtag, some of these hashtags trend worldwide. Social Media has also proved to be somewhat of a ‘search engine’, however people should discern the type of content they find online, it is usually someone else’s opinion and musings. Social media guidelines should be followed. A nation cannot move forward and heal, if the issue is unacknowledged, one of the reasons why racism is still an issue is the blunt inequalities and rife economical discrepancies among the minorities and majorities of this country – therefore, these issues too must be addressed. Access to resources ought to be promoted. There are already measures in place for economic redress, viz BEE; AA; EE et al. Furthermore, the law’s position on hate speech is addressed through inter alia, the Promotion of Equality and Prevention of Unfair Discrimination Act – which has a wide prohibition on hate speech. One may also file an action against hate speech based on the crimen injuria doctrine. We need a more unified approach to resolving racism, it will take inclusive action, the resources of this country after all belong to all who live in it. Matrics 2015: The Journey to Success? The class of 2015 is the 8th group of learners to read for their National Senior Certificate (NSC). Matric results for the year 2015 were released January 5th 2016, preceded by the release of results, the Minister of Basic Education Angie Motshekga broke down the stats per province at a press conference in Midrand, which was televised. With the Western Cape province boasting impressive numbers, standing at 84.7% pass rate for the National Senior Certificate. In the past, before the age of Twitter and social media, we’d see coverage of these results with students rising early an embarking to newsstands around South Africa to see if their names had appeared on the paper. Followed by various news reports, covering students with euphoric screams and jubilant faces – fast forward to 2016, and we see hashtags dedicated to matrics’ entering varsity on how to ‘survive’. Yet what happens to the portion that doesn’t make it to university, or the portion that doesn’t pass matric. What avenues and alternatives has the country created for them? Bearing in mind, as per News24 report, that ‘it takes an estimated 3-5 years to get the pass rate on an upward trend due to the changes in the education system’. Speaking further on this matter, in a Mail & Guardian article, it is reported that the 2015 matric results have dropped to 70.7%, in contrast to 75.8% circa 2014. The Minister also indicated, that 2015 had the highest number of students enrolled for the examinations, in contrast to past years. Also telling of the distinctions between private and non-private schools, was the pass rate achieved by IEB schools, a staggering 98.3% – which sparked debate about the quality of education rendered in non-IEB schools. With the current focus now shifted on institutions of higher learning and the call for ‘free education’ #FeesMustFall; #NationalShutDown it is a most interesting yet volatile time for the country’s future leaders. Children are indeed the future, especially now that they’ve left school. Looking at the meaningful contribution they may bring through skills, vocational learning, contribute to workforce, launch start-ups etc. 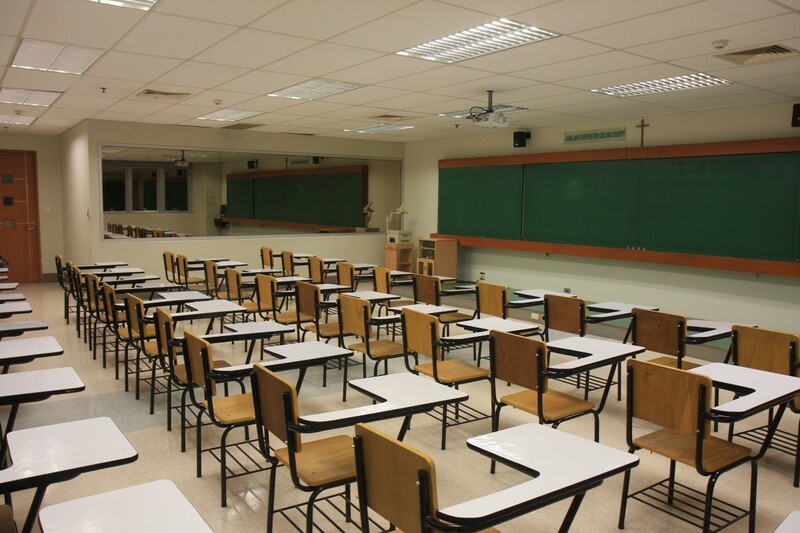 A call has been made to focus on the 3 lowest performing provinces: the Eastern Cape; Limpopo & Kwa-Zulu Natal, which also make up the bulk of students enrolled for matric 2015, more intensive learning or added support from stakeholders is needed. “Blind faith, good faith – when do we draw the line”? South Africa recently got hit by a spate of sensational headlines highlighting the scourge of unscrupulous pastors and church leaders who’ve been abusing their discretion and subjecting congregants to appalling, in-humane abuses. Some of the incidents include the consumption of grass; snakes; rodents and petrol, as per an article in ‘Destiny Connect’. Yet what is the cause of these incidents, where congregants seek faith so desperately that they subject themselves to the consumption of snakes? The Commission for the Promotion and Protection of the Rights of Cultural, Religious and Linguistic Communities (CRL), is extending its reach to these churches that have come under the spotlight for their unorthodox practices by launching an investigation for the above mentioned incidents. Religious practices aren’t prohibited per se, it is how they are enacted and implemented which raises not only eyebrows, but also raises public concern. Enter the CRL, who intend on providing legal structure for religious institutions as per a report in ‘The Star’ publication. The Constitution in Section 31 makes provision for ‘Cultural, religious and linguistic communities’ – which in turn grants persons the right to enjoy their culture and practice their religion. However these rights are being abused, and mal-administrated by ‘bogus’ and dubious pastors and or church leaders who therefore are not acting in good faith. In another article by ‘News 24’ it is reported that the SA Council of Churches (SACC) in alleviating the scourge of these dubious practices, has called for basic certification of pastors. It is also interesting to note that the issue of questionable church practices isn’t unique to South Africa, these practices are also prevalent in other jurisdictions such as Nigeria, and the USA where they’ve been reports of notorious cult practices. 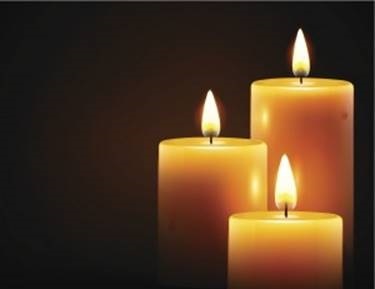 Churches and places of religious worship have traditionally been known as sanctuaries where the poor and those in need of spiritual awakening could worship in peace. 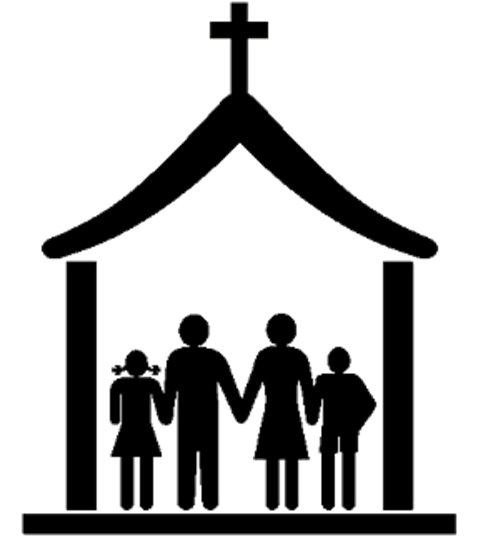 Churches have also been said to provide support structures for the community, and speak out against injustices – for instance the role churches played in the apartheid era. It is therefore tragic to witness such unreasonable acts and practices under the umbrella of the church. With legal structures and councils overlooking and monitoring these practices, it is hoped that the church will once more be restored as a place of worship, and not one of fame; notoriety; glamour and abuse of congregants. These are platforms whereby people post what they’re doing, what location they’re at, whom they’re with and even how they are feeling – this could be consequentially adverse to the employer (through vicarious liability) or the employee who may be taken to task over potentially defamatory posts. Risks against employers, according to Rosalind Davey writing for ‘BIZ COMMUNITY’: “Legal consequences of social media“, are exacerbated by the fact there is no specific law in South Africa that governs the usage of social media. The good news about that however, is the room for development of the law through this gap. The downside, due to no specific statute regulating social media platforms within the workplace context, one is actually unsure on what they may or may not post. The advent of social media in the work and market place has proven to be fruitful with regard to e-commerce and brand exposure inter alia, not without its shortfalls however. We at the BLA-LEC also plunged into the realm of social media, with the establishment of our Twitter profile: @blalecafr to extend our reach to readers and other role-players in the legal profession. The risk in social media lies with the nature of information shared on these platforms, and since there is no specific statute to deal with this, it becomes a huge area of contention. Some posts shared may prove to be delictual in their nature, and amount to defamation which may adversely affect someone else’s reputation and lead to patrimonial loss. The employer of such employee who shares such may be vicariously liable. However it is argued positively, that notwithstanding the lack of statute regulating social media within the workplace, the Constitution in the interim provides guidelines. Davey, in her article cited above, suggests the reliance on the constitutionally entrenched right to dignity to act as a shield. Most employers have a code of ethics, or code of conduct which employees are expected to uphold and abide to, given the nature of social media posts, a code of conduct may be interpreted so as to make provision for incidents of offensive posts. In conclusion, social media has permeated the workplace on a broad spectrum and affects various tiers and factors of law. Employment law, labour relations, private law and possible civil actions. Due to its nature, a statute regulating its usage is highly requisite. Perhaps the legislators will draft a bill and effective pass legislation until then. Everyone is urged to take extra care of what type of information they share. Always ensure that it is in keeping with your brand values. 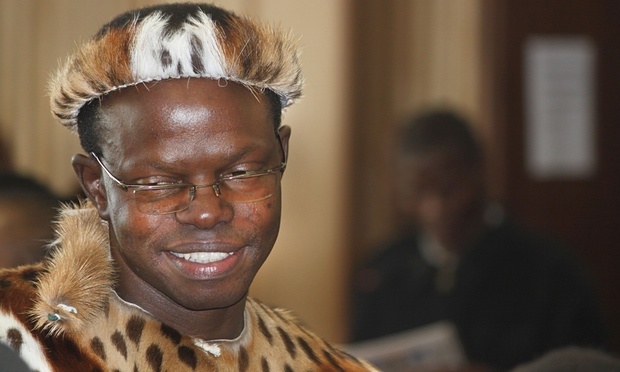 A year ago we wrote about the plight of Swazi human rights lawyer, Thulani Rudolf Maseko “We are not deterred http://bit.ly/1O4bI43”. Maseko, was born in the Manzini region of Swaziland on the 1st of March 1970, he was jailed last year for his critique against the judicial system in Swaziland. As we wrap up 2015, we look forward to seeing what happened of Maseko’s cause, his arrest raised awareness around the world and gained substantial condemnation, and international support lobbying for his release. Skewed briefing patterns: a cause for reflection and action at an accelerated pace. Advocates staged an ‘unprecedented’ protest of skewed briefing patterns in South Africa’s legal fraternity. 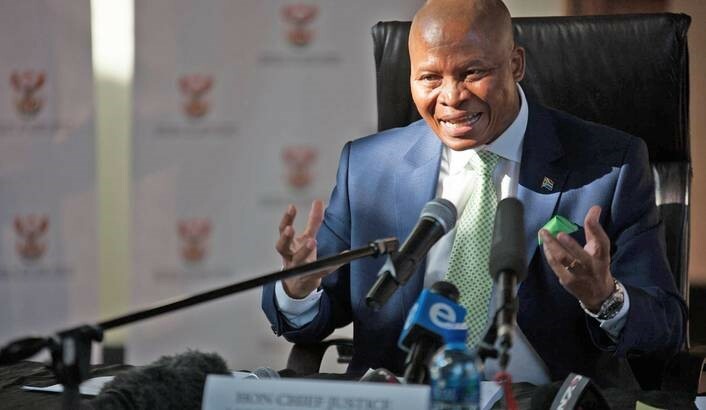 According to an article in ‘Business Day Live’, this is the first time advocates who weren’t representing litigants in a case have asked to address a court, on an issue which the court does not have to decide on http://bit.ly/1Q5Ije3. Which generally reinforces the notion of ‘protest’ action, according to the article 115 Johannesburg Bar Council advocates signed a statement which was read out by Adv. Dali Mpofu, the purpose of the protest was to ‘hopefully spark the necessary debate on racism in our profession’ as per the signed statement. This follows a long history of debate surrounding racial inequity in the legal profession, and inadequate representation of historically disadvantaged lawyers in South Africa. This particular protest was sparked by the lack of adequate representation in the ‘silicosis’ class action legal teams, which only comprised of 3 black counsel, 7 women and no woman senior counsel. This also centres around issues of gender inequality, hence the protest. In response to the concerns raised by the protest statement, counsel in the ‘silicosis’ class action Jeremy Gauntlett SC indicated that these patterns were a “matter for reflection and action”. It will be interesting to observe how this particular protest will feed, and advance the concerns of historically disadvantaged lawyers in South Africa, in the near future. Focus on Trial Advocacy: Why is Trial Advocacy so important? 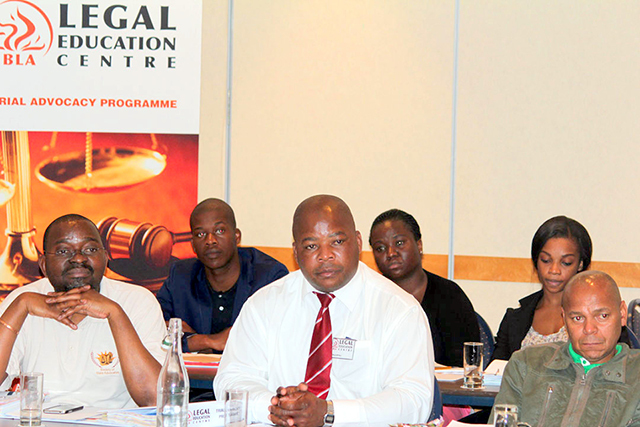 It is a branch of knowledge which focuses on making legal practitioners more effective in trial proceedings, it also helps develop basic litigation skills that may be used in any legal practice. It is an art of persuasion, which uses the language to tell a convincing and believable story http://bit.ly/1igY9o2. We have been conducting the Trial Advocacy training since the year 1986. It is modeled on the National Institute of Trial Advocacy (NITA) model of training, visit the (NITA) website here to read up more on their history http://bit.ly/1NsafXP. The purpose of trial advocacy is a fundamental one, it is to smooth the transition from the study of law to the practice of law. It teaches one how to be a skilled, capable litigator. The learn-by-doing approach used by the centre offers participants the opportunity of review, as participants are videotaped while engaging in their simulated courtroom experience. This gives a chance to the participants, to assess and track their progress. On a frequent basis we see and hear of glamorous legal dramas and series which boast of eloquent, highly confident litigators donning designer bespoke suits, wowing the crowds with exceptional argumentative skills to name but a few. This sort of craft can only come with good practice. There’s a manner in which witnesses must be spoken to – our national advanced trial advocacy training offers skills on how to deal with expert witnesses for instance, trial advocacy puts an emphasis on the cardinal rules of successful trials and courtroom etiquette. This is why the centre has an exceptional, dynamic faculty of trainers. Our trainers are inclusive of Judges, Senior Counsels, Professors, Magistrates and Senior Attorneys who have been trained using the renowned (NITA) methodology. Guaranteeing trainees the full experience of advocacy, and a glimpse of what is yet to come. Which generally reinforces the notion of ‘protest’ action, according to the article 115 Johannesburg Bar Council advocates signed a statement which was read out by Adv. Dali Mpofu, the purpose of the protest was to “hopefully spark the necessary debate on racism in our profession” as per the signed statement. This follows a long history of debate surrounding racial inequity in the legal profession, and inadequate representation of historically disadvantaged lawyers in South Africa.
. It will be interesting to observe how this particular protest will feed, and advance the concerns of historically disadvantaged lawyers in South Africa, in the near future. 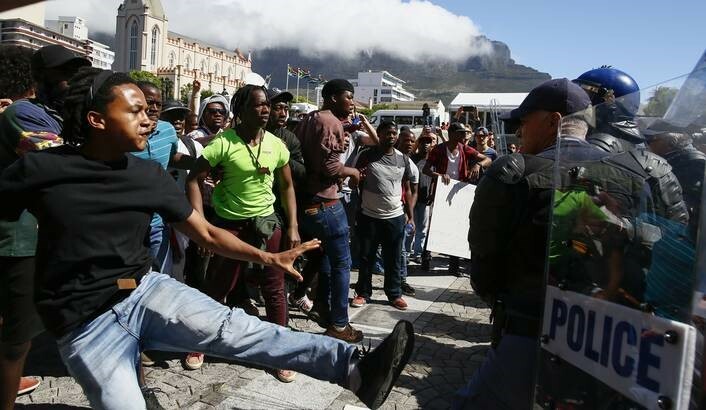 A few weeks ago, the country saw a series of mass protests at various institutions of higher learning, viz WITS, Rhodes, UCT, UWC among others. The protests, facilitated and led by the students of the institutions themselves called for fee increments across universities to ‘fall’, this was prompted by the decision by various school councils to raise fees by a certain percentage. 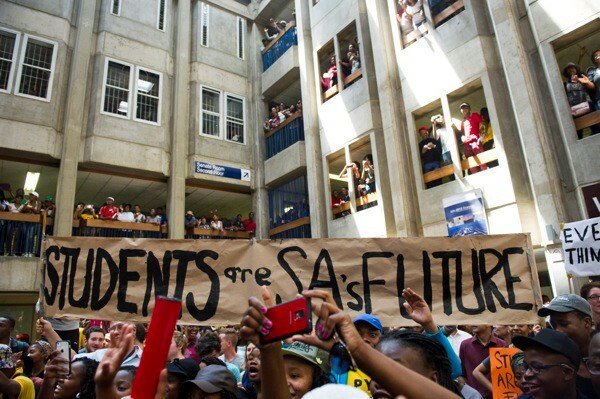 There was also other grievances the students had, for instance the lack of funding for the poorest of the poor, not being ‘poor enough’ for NSFAS and the outsourcing of cleaning staff. Everyone has the right to further education, which the state through reasonable measures must make progressively available and accessible. Section 29 (1) b hinges on the realisation of this right to further education, against the availability which is afforded by the state, to the public. Is this a feasible right currently? South Africa in contrast to other jurisdictions such as Germany for instance currently does not offer free further education to all, which leaves a large number of students destitute. Many South Africans live below the breadline which consequently makes it harder for the average South African to pursue further studies post-matric. This is one the factors that gave rise to the #FeesMustFall movement, the movement is also said to be reminiscent of the ‘Arab Spring’ protests in the year 2010, it also gave rise to other various hashtags on social media viz #NationalShutdown. The movement also gained support in other jurisdictions such as Britain, with university students in London protesting in solidarity. The South African Fashion Week also took to the runway, and expressed their solidarity to the movement, with models carrying #NationalShutdown placards. the driving force of the protests was however, the unfulfilled promises of 1994, the failure to secure social equality between black and white, rich and poor. Section 9 of the Constitution makes provision for equality for all, but yet even with the equality clause for some rights to be implemented, a balance has to be struck between competing interests. What the #FeesMustFall movement has however managed to do, aside from successfully obtaining the zero percent fee increment for the year 2016 which was announced by President Jacob Zuma speaking at the Union Buildings in Pretoria, the movement has managed to get the dialogue around ‘free education’ interrelated issues going, and that is a start to the journey in the progressive realisation of rights entrenched in our Constitution. Four people have been killed and two seriously injured in a head-on collision on the R43 between Gansbaai and Pearly Beach, Western Cape traffic chief Kenny Africa says. The government says that it has identified potential construction sites for Parliament in Tshwane, if a mooted legislative capital move is gone through with. KwaZulu-Natal police are still searching for three men after they arrested an alleged mastermind suspected of being behind the smuggling of stolen vehicles from South Africa to Mozambique. Advocate Nomgcobo Jiba will be heading to court to challenge the Mokgoro inquiry report after she was fired by President Cyril Ramaphosa. Despite the Port of Durban being fully operational following the devastating flooding in KwaZulu-Natal, washed up waste has affected vessel movements. Copyright © BLA Legal Education Centre. All rights reserved. Developed by IRAIS PTY LTD.